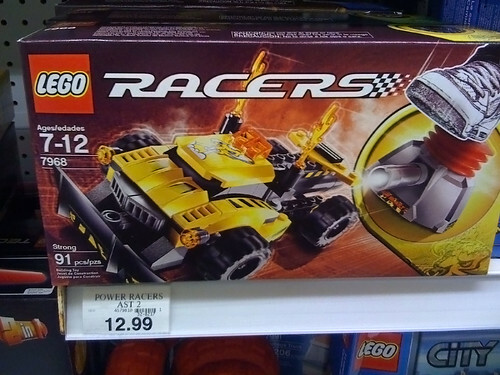 Update: Toys R Us Trip Report Part II – November 28, 2009. 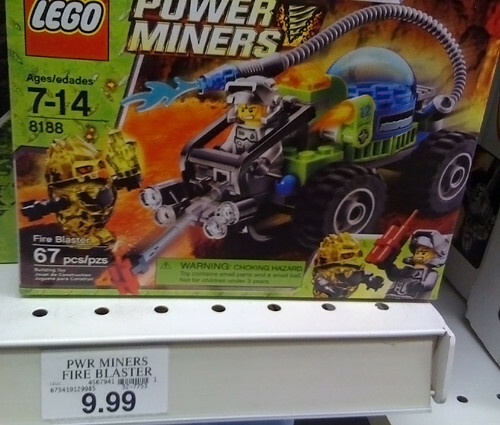 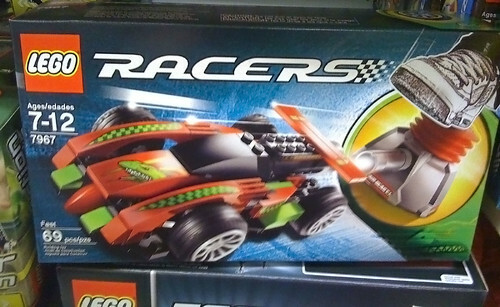 Paid a trip to the Toys R Us in Cedar Park, Texas, to check out the 2010 LEGO sets that are popping up in the various Toys R US stores around the US, and came away with a couple of the cheaper sets, Creator 5866 Rotor Rescue, and Power Miners 8188 Fire Blaster, and I’ll get reviews of both up later today/tonight. 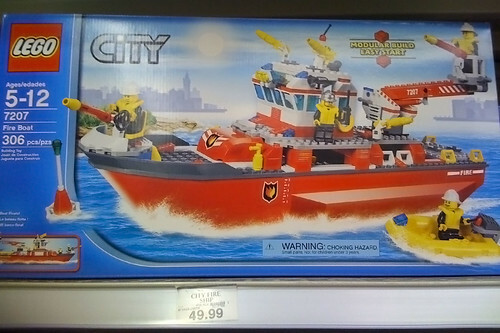 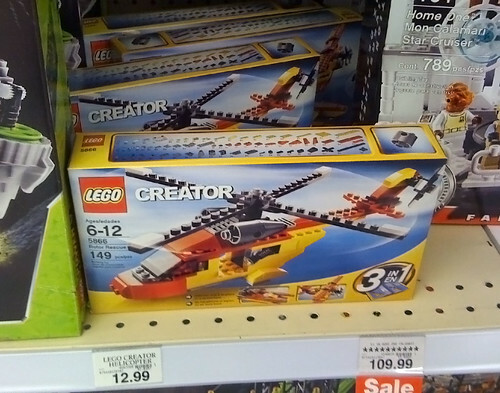 I also took photos of the sets on the shelf to give you an idea of pricing and the fact that they are “official”, at least as far as Toys R Us is concerned. 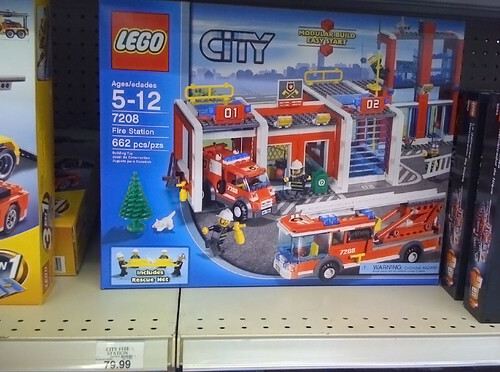 All had shelf stickers/price tags, and I didn’t come across any empty places. 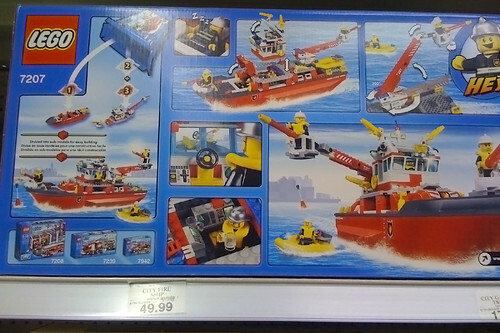 It’s in fact been a week since these have started showing up, and obviously they are not being pulled at the request of LEGO. 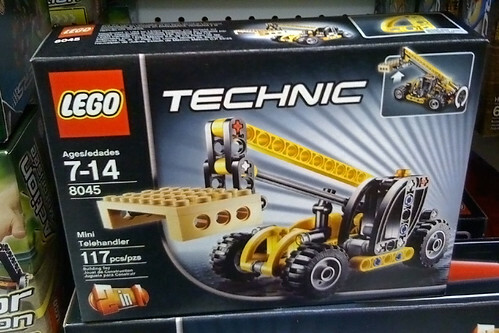 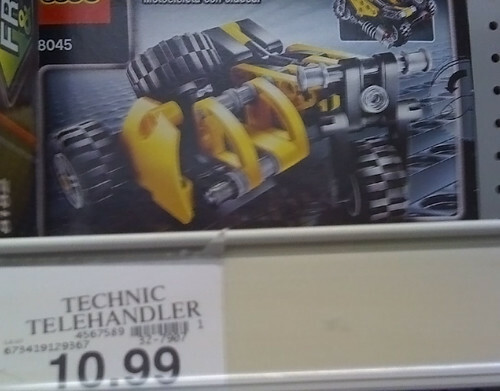 Besides the two I bought, I came very close to picking up the 8045 Technic Mini-Telehandler – a decent number of very usable parts for the price – 117 for $10.99, and while I could ignore the 2-in-1 conversion into a motorcycle and sidecar, that was kind of an interesting conversion. 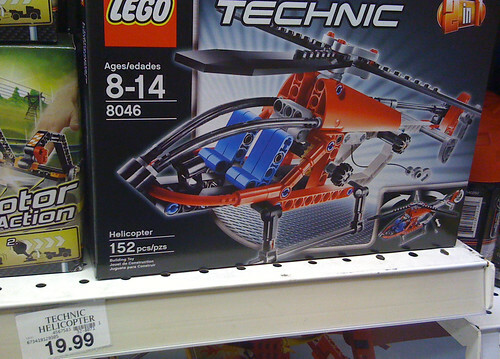 It’s interesting that Toys R Us has a lower price for the 5866 Helicopter, 8045 Mini-Telehandler, 8188 Fire Blaster. 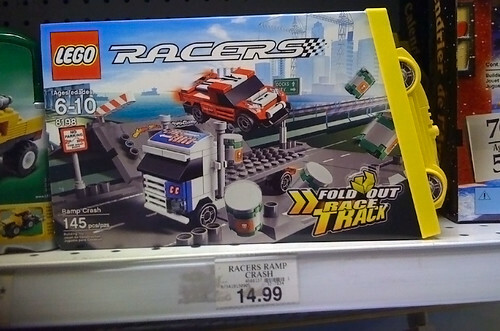 I would assume Amazon.com ends up a little cheaper at some point.